Did someone say Reese's??? 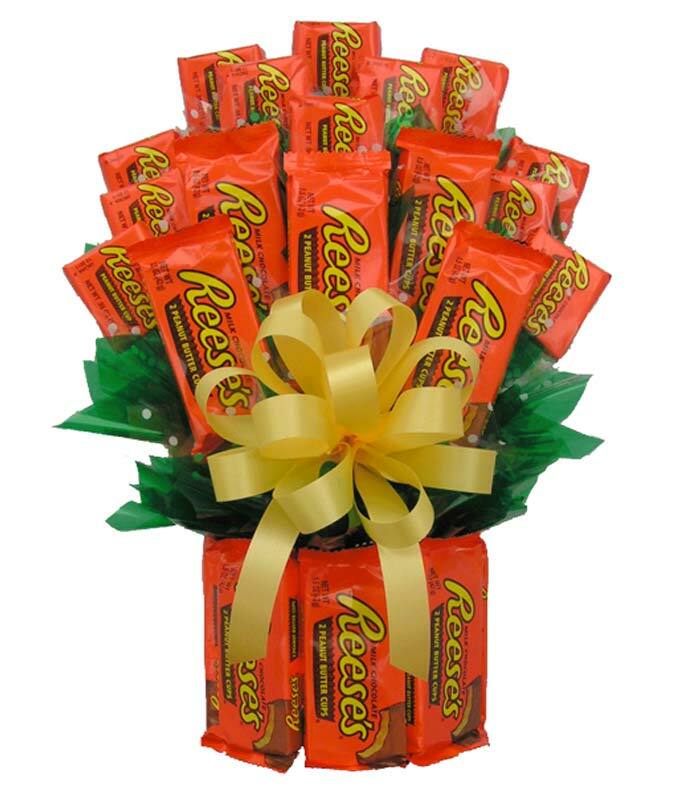 Everyone's favorite chocolate and peanut butter cup is now an incredible bouquet. This all Reese's creation will surely blow their mind, and their taste buds, away! Perfect for a Get Well, Birthday, or Anniversary gift, this extra sweet candy gift will make their day extra special.